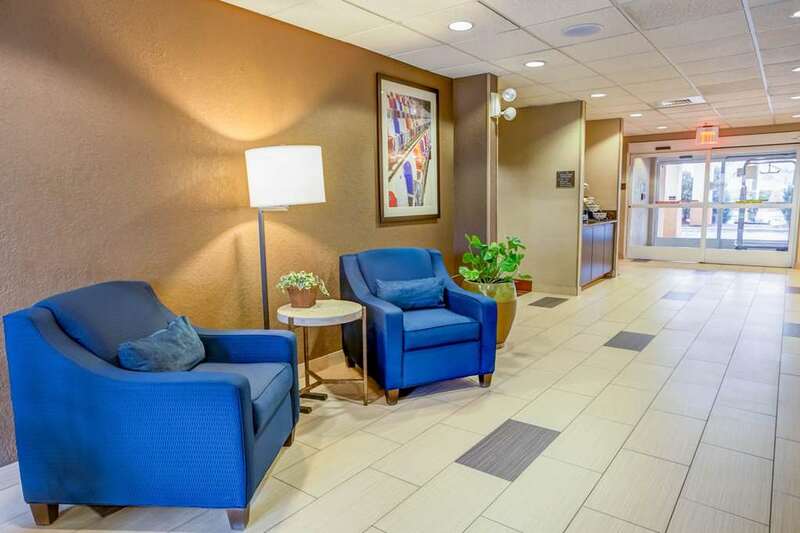 The Comfort Suites Concord Mills hotel in Concord offers all the essentials you need to stay on your game and be your best. Our smoke-free hotel is close to the University of North Carolina at Charlotte, PNC Wireless Ampitheatre, Northlake Mall and Cabarrus Arena. Our hotel offers each guest a free breakfast, free WiFi, indoor heated pool, fitness center and free weekday newspaper. Our guest rooms include TVs, hair dryers, coffee makers and fridges. Start earning rewards points today when you sign up for our Choice Privileges program.